Preseason training for the 2019 season is currently running for all players (returning players and any new players who wish to join). We will be running men on Saturday afternoons (Feb-Mar) an women on Sunday afternoons (Feb-Mar) at Charles Bean Oval, Lindfield. With some of the cheapest fees on the North Shore (early bird fees are $100 cheaper than our closest club Lindfield FC) we welcome all ages and skill levels. We are still seeking a skilled goalkeeper in our top WAA2 team. This position is a club-sponsored position so if you are interested please contact Kaitlyn (registrar@utsfc.com.au). For all other women’s and men’s teams registrations have nearly reached capacity, and additional spots will be at individual team managers discretion. Please email Kaitlyn before applying for a spot in a team for the 2018 season. Preseason training for the 2018 season starts from Sunday 14th of January, and is open for all (returning players and any new players who wish to join). During January we will be running men and women at the same time at Charles Bean Oval, Lindfield. Detailed schedules for February and March (when we split up men to Saturdays and women to Sundays) will be distributed later in January once we start getting rough groupings for the trial matches. So dust off the boots, grab your friends, and see you at the Bean for the start of a big 2018! 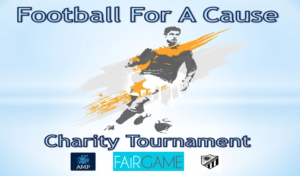 For the fourth year, UTS FC will be hosting the Football For A Cause Charity Tournament at Charles Bean Oval Lindfield. This one day tournament is the biggest charity tournament on the North Shore, and has helped raise over $20,000 for three great charities so far. This year the tournament will take place on Saturday 7th of October. So start forming your teams and submit your entry forms, because like every year the spots will fill up fast! We will have the same format as last year running both a men’s and women’s competition, as well as the inclusion of a a mixed competition this year. 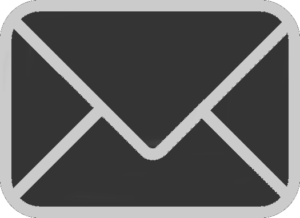 Please email Jono to get a copy of the entry for this year and reserve a spot (please specify in the email which competition you would like to reserve, mens/womens/mixed). UTS FC are currently looking for men to join our club in 2017. General players for our social divisions. UTS FC are currently looking for women to join our club in 2017. Posted in: MAA2, MAA2R, MAA3, WAA4. We welcome all returning players and new players to dust off the boots and join in. Not available this weekend? No worries, check our calendar for weekly training sessions. Thanks to the support from UTS Sport we offer the cheapest rates for University students on the North Shore, as well as discounted registrations for non-students. For more information on our fees, or information on registering please refer to our registration page. 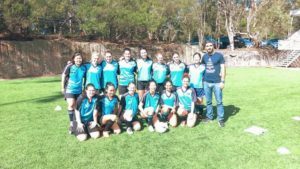 On the 24th of May 2016, the UTS Football Club had the absolute honour of hosting the fearless and passionate pint-sized captain of the Matildas – Lisa De Vanna. It all started with a panic! Emails and Facebook notifications were popping up left/right/centre on the Monday afternoon alerting us to the fact Lisa would be attending and we needed to be in uniform. Facts were shared and excitement rippled through the social media waves. Tuesday would be the night and we ALL needed to clearly do our washing. 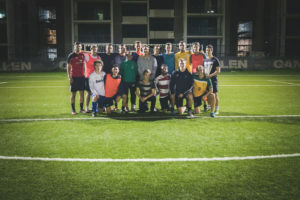 Tuesday night hits, the teams have gathered and training attendance for the UTS women was at an all-time high. It was clearly going to be a cold one so we are all reluctant to shed our winter warmers in order to display our beautiful blue uniform. While prancing around and warming up, in the distance a short statured woman decked out in Nike gear arrives – it was Lisa! If there was ever a situation where star-struck awe hit a massive group of women, well this was one of those. 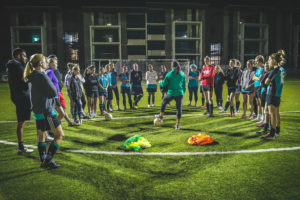 Sparing all the introductory details and skipping to what actually happened on the night – Lisa kindly instructed the team through some warm-up exercises and ball drills. To be kind, it wasn’t fear that struck us when it was time to dribble in front of Lisa – it was more of an “I am not worthy” feeling – complimentary? Yes! It is pretty amazing to have one of the world’s best female soccer players observing you play the sport you love. 2. Trust your team mates. By the time we were finished chatting and also laughing about a question regarding shin splits, the teams were gathered together for a big old group photo (and penguin heat hug). 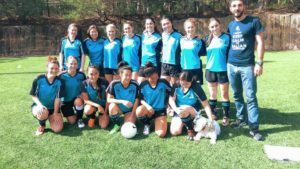 Overall, Lisa is a natural born soccer player who despite her stature, age and financial upbringing has managed to lead a successful career using the age-old tactic which can apply to anything you want in life; passion, determination and tenacity. UTS Football Club is completely honoured and wishes Lisa all the success in the future. WAA3 Continues Their Winning Streak! Being the fourth game in a row at Charles Bean and with 3 wins, the match was destined to be a fight. Even Chelsea our mascot was ready to cheer us on! UTS started strong and in control. It didn’t take long before UTS were in the lead with 2 goals scored by none other than our resident striker Becky Harper. The midfield and defense lines held their ground, until Asquith saw an opportunity and score not once but twice. All of a sudden it was 2-all. WAA3 are notoriously known for performing better under pressure. 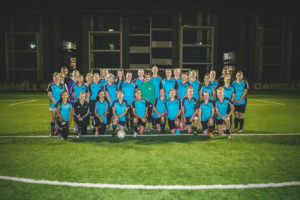 It was clear the girls were more motivated now than ever as the strikers, midfielders and defenders were battling to keep possession whilst Goalkeeper Pepita Bernasconi diminished Asquith’s attempts at goals. 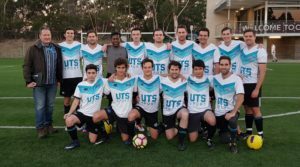 UTS needed to prove why we deserve to remain undefeated. In fact new comer Emily Mew-Sum took initiative and scored 2 goals against Asquith frustrating them, making it 4-2. 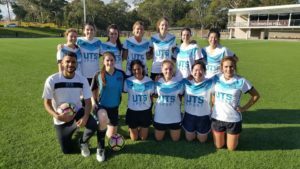 Nearing the end of the game, UTS held their heads high under the stress of the heat and returning fierce tackles to Asquith. Alas, the final whistle is blown. The game proved: the team that fights together, stays together! WAA3 finished the week 1st on the ladder with many more fights to come. 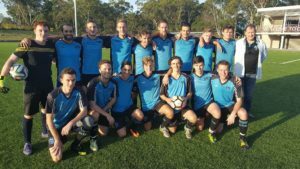 With two losses and a draw floating above our heads, the WAA4 fought back in the fourth week taking away a win of 2-1 against Lane Cove. We launched onto the field with fire, the ball sitting for majority of the game in the winning end of the field. Two goals were scored with quick succession early by Lisa smashing the ball in using a gap that the opponent kindly left for us and Julia encouraging the opposition to score an own goal. Overall the offense were strong with Chayna having many opportunities to score, Ellen capitalising on the stray left-side balls – it is for certain that this season will see more goals. The defense and midfield were strong, the only reason the opposition scored was due to some early-in-season puff that will be sorted as we progress into the winter. Otherwise; Tiffany, Amy, Lauren, Santi and Daria showed Lane Cove “WHAT IS UP!” with a quick refresher in the definition of “tenacity”. And for the goals, we had the pleasure of rotating through three goal-keepers. Li held up the first half with her fear of nothing attitude, Heather had a short-lived game having injured herself during a dedicated sprint towards the opponent and Anna filling in towards the end (props to Anna who filled in for striker, defense and goal). Overall, WAA4 had more skill/sassy-tude combined than a Zack Snyder film and despite the lack of Daschund puppies/male cheer squad – we crushed it.